Here’s one scenario, imagine yourself being a Maxis Value Plus 150 plan customer with 2 family (supp) lines. Both you and your family members have been enjoying free voice calls, video calls, sms to each other. Everyone’s paying only 10 cents a minute for calls. Once you switch to ANY iPlan by Maxis – YOUR PRIVILEGES ARE STRIPPED OFF COMPLETELY. No more free calls between you and your supp lines, no more free smses, no more free video calls – and to top that off, since the closest iPhone plan is at RM 155, you’d be looking at 12 cents per minute for calls – which is still fine BUT your supp lines will be reverted to the regular plan of 15 cents / minute! I got so upset that I sent an open letter to Maxis (you can check it out on my blog). If you compare each function that iPhone has against Sony/Nokia at the same price point. iPhone will certainly lose out. But what it does is good or better than the competition. For me its the Internet Browsing. I used opera on my Nokia E65 and personally feel that its not really usable, not the browser but the implementation of browsing on the phone leaves a lot to be desired. I hear music a lot and for me the music function is very important thankfully I already tried Touch and found it to be almost perfect. Don’t forget about the apps so many to choose from and easy to get. 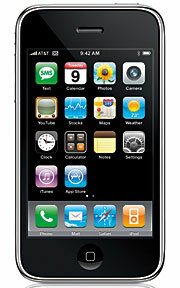 al : Apple just upgraded of their other products, hopefully the new iPhone 3G will be out soon. I’m afraid those who buy it now through Maxis will be cursing then. Ben : Not being able to get the iPhone with existing plan is definitely the pain in the axx too. It’s unbelievable if they think most existing clients would be willing to switch plan just for the iPhone. shahrul : I absolutely agree the iPhone itself is great, but coupled it with such contracts only makes it less attractive. you can get free iPhone but you have to commit rm250 per month and rm2000 deposit? people who are want the iPhone for free is the one without much money to purchase the iPhone in lump sump but afford to pay at least rm200 per month.. Yes, I totally agree with the post. But, whatever it is i’ve already use it since 2008 (2G & 3G)- unlock model made myself. There’s no chance any other mobile can compete with iphone. Of course i’ll not buy it from Maxis, lock iPhone is like a s**t.
I sent you an email regarding an event invitation. Was wondering if you’ve received it? Let me know when you have, ya? Hi Bryan… haha if I had bought Apple shares a few years back, my dividends would have paid for a couple of iphone, unfortunately Malaysia got no Apples :) only sour oranges haha! BTW thanks for your comment, glad u find the articles helpful. for me i-phone 3G is sudah basi, with current broadband situation. I dont think we can fully utilize it’s potential. Plus Maxis iPlan package is so terrible.. The more I look at the iPhone packages, the more ridiculous I think the plans are. Not only one is paying almost 2 times more than the cost of an “illegal” iPhone, the basic features are not up to par compared to most phone’s. It’s more for the cool/wow factor when you use the iPhone, but iPhone is so common these days that it’s not cool anymore. Comparing plan with plan, I think Digi’s phone bundle plans are more “reasonable”. A simple survey on the street price for the phones available, you can see that Digi isn’t trying that hard/obvious to rip you off. The phones are actually cheaper when you opt for the correct plan.